Maharlika Pilipinas Basketball League (MPBL) Datu Cup match between the Pampanga Lanterns and the Bataan Risers at the Valenzuela City Astrodome. 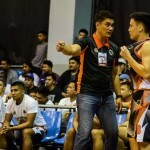 Maharlika Pilipinas Basketball League (MPBL) Datu Cup match between the Quezon City Capitals – Black Mamba Energy Drink and the Pampanga Lanterns at the San Andres Sports Complex, Malate Manila. Maharlika Pilipinas Basketball League (MPBL) Datu Cup match between Imus Bandera and the Pampanga Lanterns at the Imus Sports Complex. 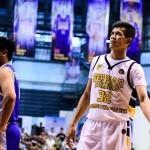 Maharlika Pilipinas Basketball League (MPBL) Datu Cup match between the General Santos Warriors-Goldenstate College and the Pampanga Lanterns at the Lagao Gymnasium Tionson St., General Santos City, South Cotabato. 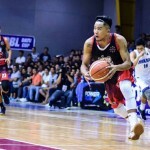 Maharlika Pilipinas Basketball League (MPBL) Datu Cup match between the Pampanga Lanterns and the Batangas City Athletics – Tanduay at the Olivarez College Gymnasium, Paranaque City. Maharlika Pilipinas Basketball League (MPBL) Datu Cup match between the Basilan Steel and the Pampanga Lanterns at the Bulacan Capitol Gym, City of Malolos in Pasay City. Maharlika Pilipinas Basketball League Datu Cup match between the Pampanga Lanterns and the Parañaque Patriots at the Angeles University Foundation Gym in Pampanga.